The art of tea making has been taken very seriously since the ancient times. Thousands of years ago, the Chinese started to cherish this magnificent aromatic drink and the tradition has survived through centuries and spread all over the world. If you’re a passionate tea lover, you can taste the best teas prepared in specially designed teaware with Adagio Teas. If your palate has started tingling, keep reading our in-depth Adagio Teas review to learn more about this excellent company and its offer. People behind Adagio Teas do their best to bring the finest tea to your home completely hassle-free. Ordering from Adagio Teas is a piece of cake. 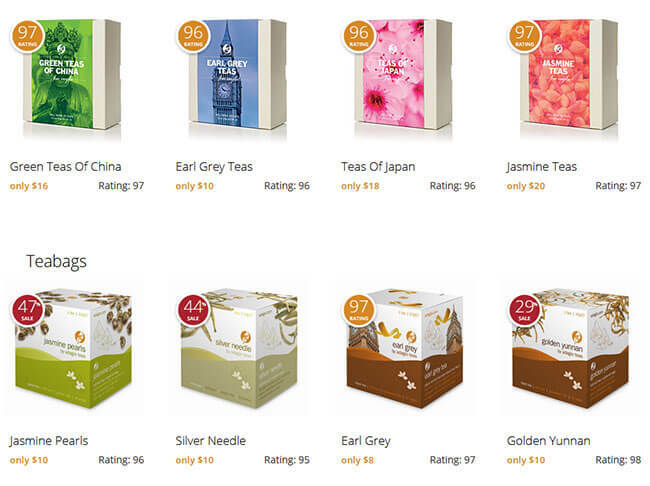 The most difficult part of purchasing tea from Adagio Teas is making up your mind which tea you want to try. The rest is easy-peasy. All you need to do is to open the colorful menu and select everything you want. Once you have chosen the items you want to buy, you need to check out and create an account in a few quick clicks. With Adagio Teas, you can order whatever you want and whenever you want. 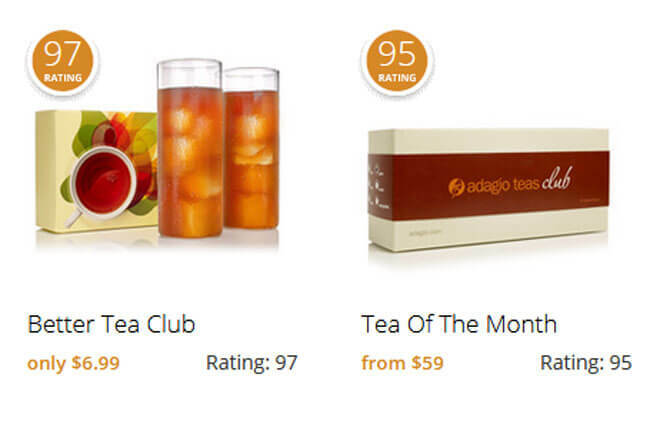 Adagio Teas is one of the most flexible subscription box companies on the market. It’s just like going to a local tea store in a small market in China – you can visit whenever it suits you, pick a sort you’d like to try, and enjoy fresh, high-quality tea in the comfort of your home. Your orders aren’t limited in any way, so you can decide to order only one small package this week and then take another three packs of tea and a teapot in two weeks. 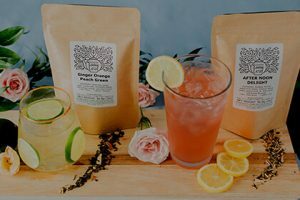 Additionally, you can subscribe to monthly deliveries from its Better Tea Club that features different types of iced tea or you can go with bi-monthly delivery from Tea Of The Month Club and receiver the finest fresh loose teas of your choice. In case you have a question about anything in its offer, you can contact Adagio Teas’ customer support service by submitting a ticket that’s available on each page of their website. You can expect a response from them in the following 24 hours. Although they’re not the fastest customer support ever, it’s good that you can submit your question any time you find it convenient. 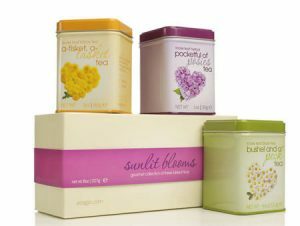 Having an account at Adagio Teas is very convenient and it helps you get lots of discounts. You can use it to enable auto delivery and receive your favorite tea as often as you want. Adagio Teas gives you a 5% discount on your first order and a 1% discount on each subsequent order of the same product. Auto delivery can provide you with up to 15% off your order, making your tea even more affordable than it usually is. Membership isn’t just free, but it also saves you money every time you place an order. Adagio Teas boasts an excellent Rewards Program that lets you earn points and get benefits for every dollar you spend on its extraordinary teas. In addition to extremely flexible ordering, Adagio Teas also gives you freedom to change and adjust your orders. Not only can you tailor your auto deliveries, but you can also skip a delivery or cancel any time. Adagio Teas also offers a great referral program that enables you to send your friends complimentary $5 gift certificates and earn extra points every time one of them uses their certificate. You can send countless complimentary certificates and introduce your friends to Adagio Teas. Adagio Teas offers everything you need to prepare an outstanding cup of tea and enjoy the magic of the finest flavors known to humankind. All of you who prefer strong, savory teas will be happy to hear that the biggest part of Adagio Teas’ offer are loose leaf teas. You can certainly find a treat for your sophisticated palate among the outstanding selection of first-class tea leaves from different corners of the globe. For those who often choose a faster and easier way to prepare their tea, there are various tea bags. You can pick from Chinese Pu-Erh or Oolong tea, South African rooibos, Japanese green tea, and many others. Adagio Teas also offers blue-ribbon blends packed and delivered in adorable fandom tins. You can choose from numerous themes and flavors, from Harry Potter over Star Wars to Game of Thrones and Beauty and the Beast. Adagio Teas also offers iced teas, world-class teaware, tea spices, honey, cookies, and even tea chocolate. If your loved ones share your love for tea, Adagio Teas has just what you need to surprise them. In addition to its rich offer of teas, Adagio Teas gives you an opportunity to send someone a gift certificate or one of its extraordinary gifts specially designed for tea lovers. There are seasonal gift boxes of herbal teas, beautifully packed loose tea gifts, and even zodiac gifts that feature the finest selection of teas perfect for each sign, from Aries to Pisces. Finally, there are elegant wedding favors that can be customized in numerous ways. You can even design the label yourself, upload it, and have it printed for your special gift. You can get a sample of loose tea leaves for only $2 and the price goes up to about $70 for 16 oz. of first-class teas such as Jasmine Phoenix Pearls. The price of a box of tea bags can vary from $8 to $19 and a whole case that contains 90 tea bags is from $39 to $49. 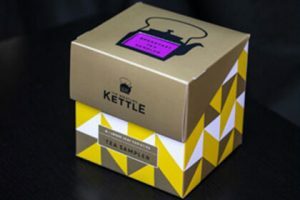 In case you decide to subscribe to the Better Tea Club, you’ll receive monthly shipments of excellent tea for only $6.99, including delivery fee. Tea Of The Month Club is pricier, but you can opt for flavored, herbal, white/oolong, black, decaf or green tea. If you opt for flavored, herbal or white/oolong tea, the 6-month subscription costs $59 and the annual subscription is $99. If your choice is black, decaf or green tea, you pay $69 for the 6-month or $119 for the annual subscription. Adagio Teas ships its magnificent teas to almost any place on Earth. Shipping is free for all addresses in the contiguous United States for every shipment that exceeds $50. For every order under $50, Adagio Teas charges a flat shipping rate in the amount of $3.75. Adagio Teas is a real treat for all tea enthusiasts who love a good cup of tea or are eager to try out new, interesting flavors. Adagio Teas’ catalog boasts a great variety of first-class teas from different world countries. You can order loose tea leaves of Chinese green tea, pour hot water on a bag of the finest roobios or surprise your dear friend with a savory blend. Our ratings are the result of an objective and independent evaluation of Adagio Teas, generating the final rating that reflects the overall quality of the product. Ratings may change as the service changes. Adagio Teas user rating based on 3 user reviews. I'm one of those who prefers good tea over any kind of coffee. I regularly get excellent black tea delivered and that's enough for me to be satisfied with them. Good quality and I can order whenever I want to, but it really costs a lot. This tea is nothing like real Chinese Oolong. I like the gifts, though. We found 1 verified Adagio Teas promo code for April, 2019. 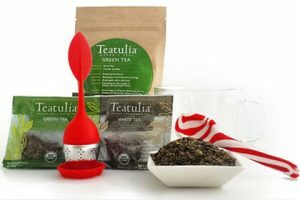 Free Shipping Give the gift of perfect tea and enjoy Free Shipping!! !